The embroidery machine is a very important machine for the people who love to create new designs on fabric. This is really important to learn how to use a new embroidery machine to work on it. Most of the embroidery machines are very easy and simple way to use. However, today we will show you the way of using the new Brother PE540D embroidery machine. This is one of the latest embroidery machines of the Brother brand. 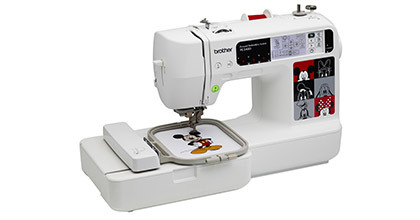 If you have bought the machine, you must need to learn the way to use the Brother PE540D. The best part of the embroidery machine is its help feature. Once you will select the help option in the LCD screen, it will show you the step by step process of using the machine. Therefore, this is the simplest way to learn each thing about the sewing machine. 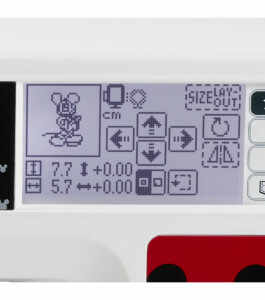 The embroidery machine offers many built-in designs. You can select the ‘Built-in design’ option and select any of the design. Once you select the design, you will get more adjustable options. You can easily change the location in the frame, you can change the layout, rotate the design, larger or smaller the design and more. More important feature in the options is “Checks where the embroidery going to be on the hook”. As soon as you select the option, this will automatically move the needle and show you the placement through movement. 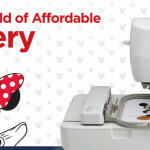 Note: Do you want to get more embroidery designs to download and have on your machine? Then, you can go to iBroidery.com where you will have more designs to be purchased. You can download the designs and connect the machine using PC to have them in the machine. 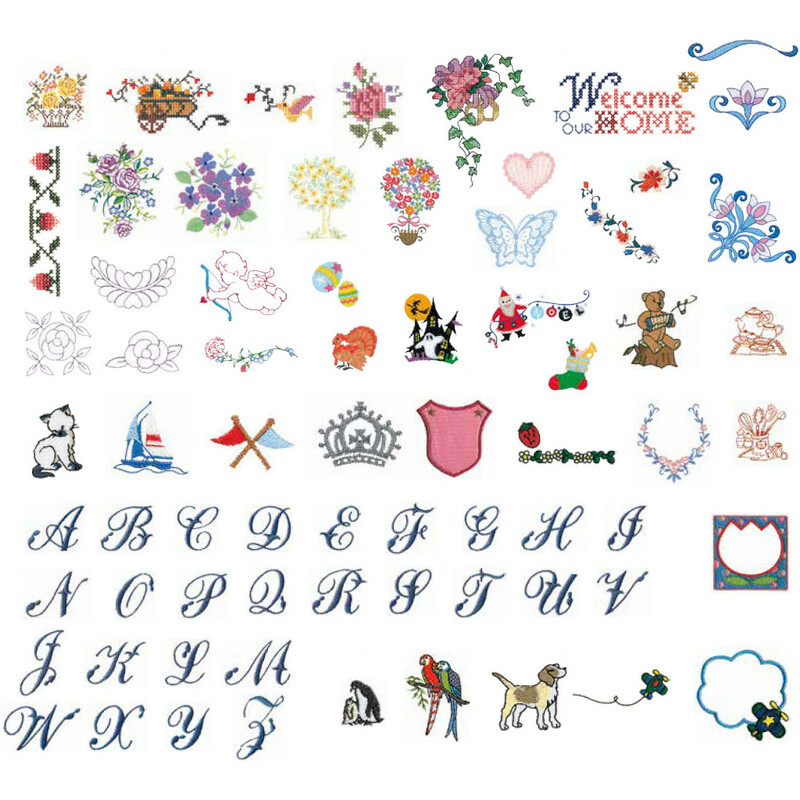 This is the option that can help you to embroidery letters in your fabric. Therefore, you can choose any letter you want. You will also get the customize options for size, placement, layout and rotate. Do you want to change the frame pattern on your fabric? Then, use the option and you will get a variety of the patterns very easily. Just use the arrow to change the frame patterns and select the best one that you like. 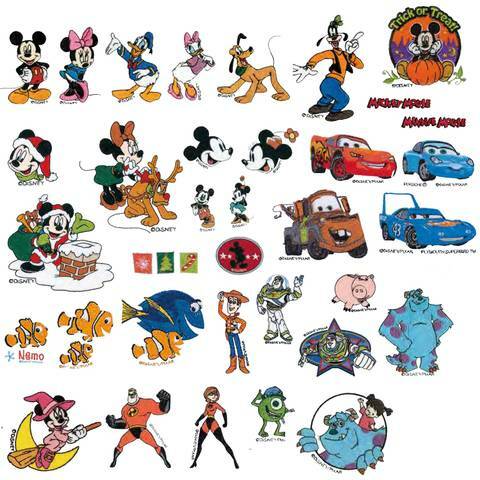 There are so many built-in Disney designs available in the embroidery machine. Therefore, you can select the designs for your fabric and it will start making the design. For more design, you can also visit iBroidery.com. In order to needle the thread, you will need to take the thread in the machine and down the slider. This is an automatic threader machine. As soon as you down the slider, this will thread the machine automatically. When you have selected all the settings, you can press the green button on the machine. This will start stitching and making the design on the fabric for you. As a result, you will not need to do anything for making the design. Note: Make sure you have enough threads in order to complete the design. These are the most important things that you will need to know before using the Brother PE540D embroidery machine. Therefore, you can check all the features and settings before starting using it. Don’t afraid of using any of the options on the home screen. This is very easy to back from a command as well as “Check the hook” option. As a result, your selected design will not go through the other designs of the fabric. Do you have more questions about using the model? Then, just comment for your question and we will give you the answer through the follow-up comments.